Same scenario as for SPY. 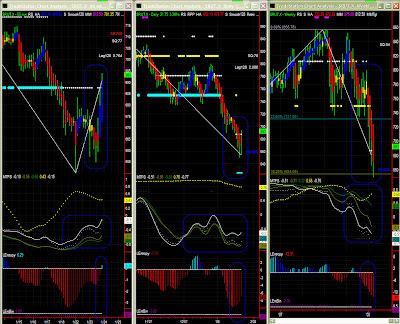 More or less same scenario as for SPY, only slightly more bearish maybe. NDX always over-reacts (higher volatility). 125 seems to hold, and contrarian traders are in already. 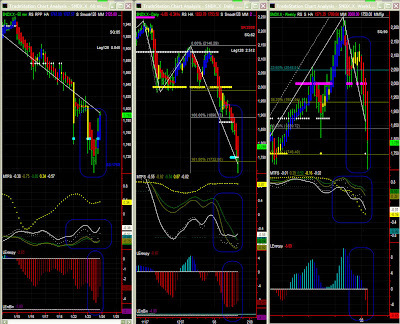 SPY made a good recovery in the afternoon, and indicators do look much better. 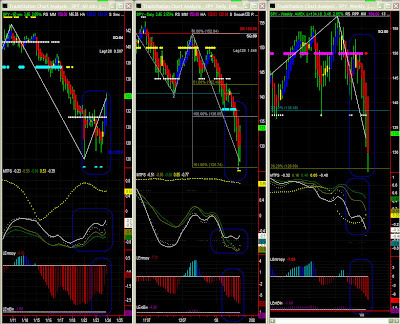 Significance level is not too high, so one would have looked at lower time frames for a possible long entry. What next? Again, some profit taking is possible early in the day (resistance level), even if bears now get slowly exhausted. MTFS is only looking slightly better bow with lines attempting an upturn, yet the early crossover must leave us cautious, and the bar is still red after all. Entropy may be bottoming out (with a EntBin = -4). Since the rebound happened on Fib target and MM pivot level, moderate optimism is possible.